The HTML checkbox input is one of the oldest elements to be introduced to HTML. So it’s no surprise that I’m tired of looking at them. But the element is crucial to forms and not going away any time soon. I prefer the look and feel of toggle switches, possibly because of the iOS toggles so commonly used. That’s it! It works like magic. I love using this checkbox toggle for forms that turn modules or features on and off. Symptom: WordPress running on NGINX cannot upload images or files. You may see an error message that tells you “permission denied” in the media uploader. Naturally you check permissions on your uploads folder, but the permissions appear correct. You might have even tried setting chmod permissions to 777. However, none of this will help if NGINX, your web server, is denying WordPress the ability to upload to it’s temp directory. Your php error log may contain something like this. View the temp folders current ownership and permissions. This is where the root of the issue is. Specifically, look at the owner and group. This needs to be set to your WordPress application user and group. Not sure what that is? Go take a look. Set the ownership of your temp directory to match the wp-content folder. At this point, if everything went as planned, you should be able to upload images and other files. Often when people truncate text in their WordPress excerpts or sample text, they simply limit the total number of characters and add an ellipsis. It’s pretty easy to do, but it usually ends up with a word being broken at the end. This function will truncate any phrase by the number of words you specify and add an ellipsis if you specify one. One could expand on this and also add a character limit in the event that the phrase contains several long words. Perhaps I’ll do that someday. Wow, that was a long title for this short article. First off, I am assuming that you know how to add JS scripts to your WordPress admin. If not, you need to know that first. There are other ways to go about destroying the meta box and rebuilding it manually. This, however, seems to be less invasive. It’s also a lot less code. I’ve seen this Bootstrap issue countless times. A collapsed div is collapsed and expanded with Bootstrap Collapse. When it opens up, it appears to over-expand and then jump back up. It’s super annoying. The collapsed div can’t have padding applied to it. By moving the alert inside of the collapsed div, we solve the problem. Ad blocking plugins can easily cut into any website’s revenue. Not sure if it’s happening to yours? You can use this simple method to find out just how much your traffic is being affected by AdBlockers. For the purposes of this illustration, I will assume you’ve already set up Google Tag Manager and Google Analytics. If not, go there first, and get it set up. This tutorial also assumes that you are using jQuery. None of this will work until you publish your changes in the Google Tag Manager. 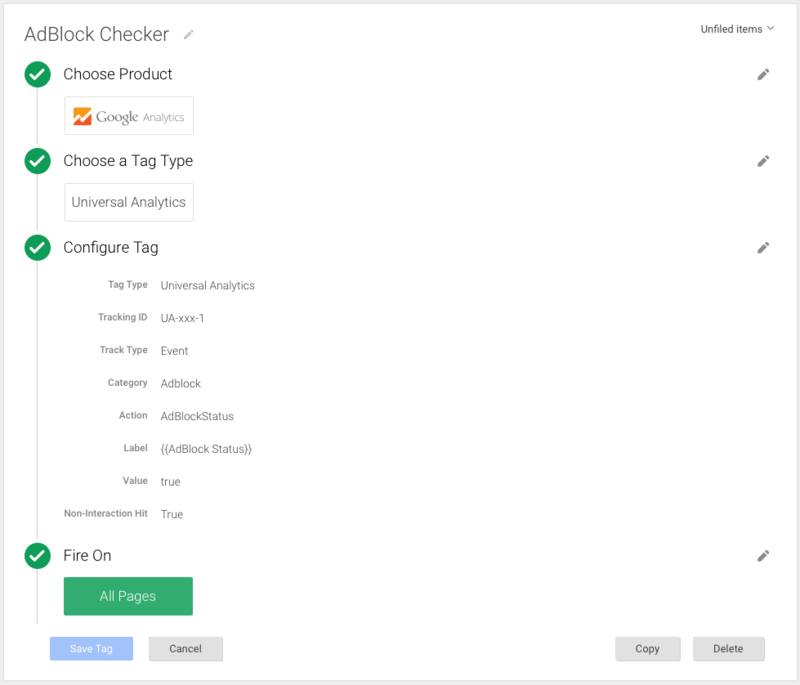 All you need to do now is watch your Google Analytics in real time as you visit your web site. 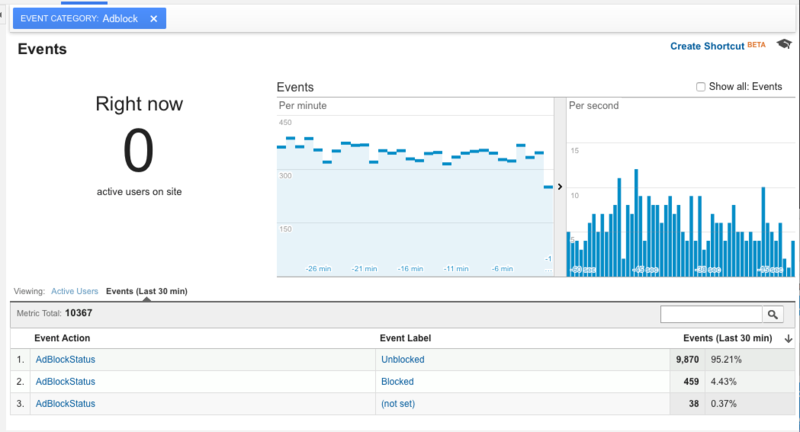 From Google Analytics, visit Real Time > Events. Click on Events (last 30 minutes). You will see AdBlockStatus start to appear here. Clicking on AdBlockStatus here will show you how many people are blocking your ads, along with a percentage. SOLVED: This does not appear to be a WXR file, missing/invalid WXR version number. Today I went to import a large number of posts from a live WordPress site to a local copy of the site. We all know that the WordPress Importer tool hasn’t had much love lately and is slightly broken. PHP will time time out you and drive you crazy if you try to use it. Don’t worry, this is super easy to fix. Open your exported XML file that you are attempting to import. Problem solved, at least for me. Posted on April 15, 2016 Categories Web DevelopmentTags bugs, Wordpress6 Comments on SOLVED: This does not appear to be a WXR file, missing/invalid WXR version number. Phone numbers have got to be one of the most commonly gathered bits of information in forms. I created a little PHP function that formats them for the most common US strings, 7 or 10 digits. Obviously, this does not perform any form validation. If anything other than a 7 or 10 digit number is submitted, it will only be stripped down to numbers.